EVE is hard. Lowsec industry is harder. When the refining changes loomed earlier this year, it appeared as if lowsec was getting the short end of the stick in this regard. Around and at Fanfest however, several announced changes to lowsec mining, manufacturing and PvE flipped the script and the future became one of promise and opportunity it seemed. Ores previously exclusive to highsec and null were making an appearance along with the new cloaking-capable Prospect mining frigate. The Thukker Tribe Component Assembly Array – exclusive to lowsec – was going to allow capital manufacturers to compete against their nullsec counterparts. New Mordu’s legion rats and sites would provide new, lowsec-only, wares for trade. So, what really happened? Do thing, recieve bacon, right? Well, apparently not enough bacon. Or sitting is hard. Kronos and Crius came and went without any industrial revolution in lowsec. The added ores didn’t inspire a new breed of brave miners to undock Prospects in search for riches. Alliances weren’t rushing to launch new capital construction programmes. After an initial burst of activity, the hunt for Mordu’s ships dialed down to a steady level, now mostly run by those primarily interested in PVE. The majority of lowsec raised an eyebrow, perhaps posted a blog post or two, and then got back to the business of killing each other. That begs the question: do we simply not want to do industry? After all, most that come to the lowsec do so because they enjoy fighting. Or is it so that there still isn’t enough motivation? If anything is to be taken away from this discussion on Reddit concerning mining in lowsec for instance, it is that the risk/reward balance still has not been met. Lowsec mining becomes especially interesting in the post-Phoebe world, since it is the foundation of local industry, but by all accounts it is still the least profitable in EVE when risk is brought into the equation. Are the old dogs of lowsec refusing to sit because they simply don’t like sitting in the first place, or because the offered bacon isn’t quite fat enough yet? In other words, is it a question of an underdeveloped industrial culture, or that the profits just aren’t there yet. PVP burnout is a thing in lowsec. As we’ve discussed here on Lowlife before, pilots get so entrenched into the fighting mindset that it becomes the only thing they know how to do as time passes. This often leads to burnout, or in other cases, not having the skill set and motivation to do something else when fighting subsides. With that in mind, it becomes very relevant to consider how to offer alternatives that motivate enough for an industrial culture to evolve. I will freely admit I am one of those that wrote a piece or two on the subject, promised myself I’d try some industry, and then got right back to feeding the meatgrinder. To get some perspective on the matter at hand I reached out to Sugar Kyle who, when she’s not doing amazing work in the CSM or writing on lowseclifestyle.com, runs a business in lowsec. Lowlife: For those readers unfamiliar with what you do in-game, can you summarize what type of industry you engage in and what the benefits and difficulties of your trade are? Sugar: I’ve never been an industrialist that financed their game play off of what they built. 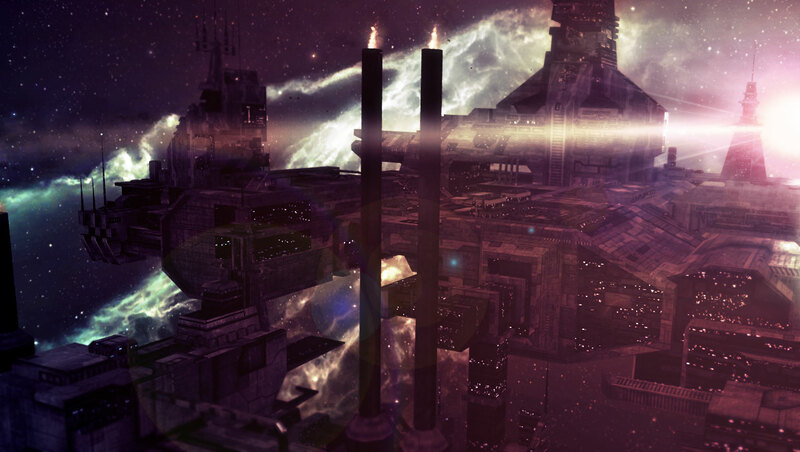 I’ve always approached industry as one of the many things that I did in Eve to make ISK and occupy myself. Currently, I am working on my T2 manufacturing skills and I hope to enter into invention over the winter. My serious industry has covered two areas. Capital Ship production for carriers and dreadnoughts and combat booster manufacturing. I used to research blueprints to sell in my booster POS. I’ve also been working on building my BPO stock to locally build my markets T1 frigates, destroyers, and cruisers. I build my exploration blueprints as well and sell the items locally or on the market depending on market needs. The benefits are personal. I enjoy the self sufficiency that comes with building your own stuff. I also enjoy building things for the sake of building them. It is a part of Eve that I have always enjoyed and one of the things I wanted to do when I started to play. However, unlike many games, Eve pushes us into a state where we seek greater positives then “because I want to”. I recently took down my combat booster POS because I was starting to lose money. The market that I made was attracting other people to it which is good. However, they undercut my combat boosters which was bad for me and good for the rest of the region. My capital ship building partner has taken a break from the game which leaves me producing for myself and the occasional friend. That is not a bad thing, my time is not so much my own these days. Lowlife: With the potential de-centralisation of markets post Phoebe, do you think that local trade in lowsec will benefit and grow? Sugar: It will only grow if people make markets for them to grow at. What I have learned is that there is no potential without someone being willing to place the first anchor. As my market has grown and aged I find myself with competition that I did not have a year ago. But, I’d not have that competition if I had not sat down and built the foundations and kept them going. Without people being willing to create the foundation for markets no amount of potential in Phoebe will make that happen. And that leads to a question of how do you find those people? Are they people like myself who will randomly decide to take a risk? Will it be because a corporation starts one and it gains a life of its own? Will some group plan and put their efforts together to see what they can create and build? I don’t know. Currently there is vast potential of markets in low sec yet it is rarely tapped and that makes me wonder if we are lacking the people with the motivation to start these things and will we ever get them or must we change before that happens? Lowlife: How do you see the Phoebe changes affecting lowsec industry and trade negatively (if at all), and how do you think lowsec industrialists will tackle said problems? Sugar: I have no idea. I am bad at speculation. We’re going to have a change in logistics and we can guess, plan, and plot to our hearts content but I don’t think any of that will do more then prepare us to be ready for the shock of the unknown. Industry and trade work side by side with player movement and usage. With all that changing down to the core, I have no idea what will happen and how people will tackle it. I know that they will, because that is not only their game play it is a part of playing the game itself. Lowlife: Do you think the introduction of new mining materials to lowsec in Kronos have stimulated local mining as intended? What role do you see the Higgs Anchor playing in this? Sugar: I don’t know if there is an intended stimulus point so much as an effort to put things of potential use of value out there that people may decide to use. I don’t think we’ll ever see a lot of low sec mining and that is okay. I have had enough contact with groups that do some mining that they see worthwhile potential in it and I’ve gone from there. As for the Higgs Anchor? I don’t know. I don’t go and plunk a exhumer or barge in a low sec belt and mine in low sec. It does not fit my type of gameplay and thats okay. I’ll look to those it does fit and see how they use it. Lowlife: With the threat of hot-drops reduced, do you see growth in the capital production sector of lowsec industry as local meta is able to change and grow? Sugar: I don’t think that fear of hot drops had much to do with capital production. Instead, with movement restricted local growth may improve simply because convince matters. However, it will always war with price. Usage may go up but usage does not always equate to loss. Some groups who have not found venturing into capitals worth it may, but there will still be large, capital strong groups who have always lived in low sec still living there. Lowlife: Similarly, with large nullsec entities forced to consolidate they cannot maintain control over natural resources in lowsec to the same extent. Do you see the locals stepping up and taking these resources for themselves? Sugar: Absolutely. It has already started to happen and I expect that to accelerate. 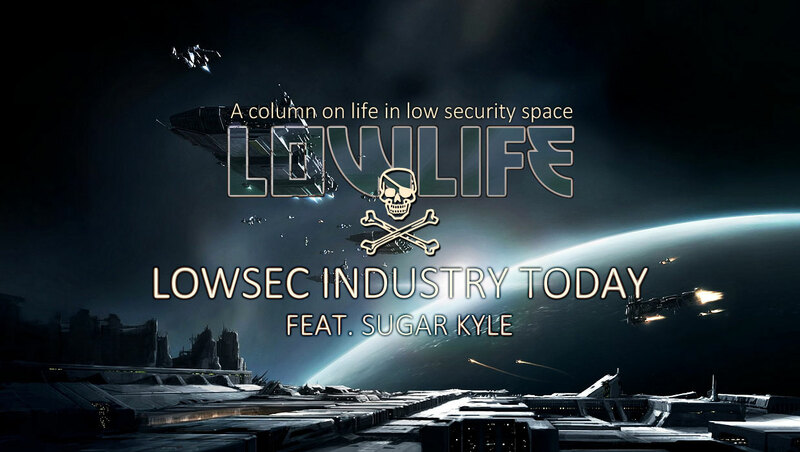 Lowlife: With all these things considered, do you think lowsec industry is and trade is in a good place? Sugar: It depends on what a good place means. Currently? No. But it is not all things that CCP can fix. Players have to step up and create what they want to see. And that creation is often fraught with turmoil. Many thanks to Sugar Kyle for taking time out of her busy schedule to talk lowsec industry with a PVP meathead like myself. If you are in the least bit interested in lowsec or the CSM, chek out Sugar’s blog: http://www.lowseclifestyle.com/.